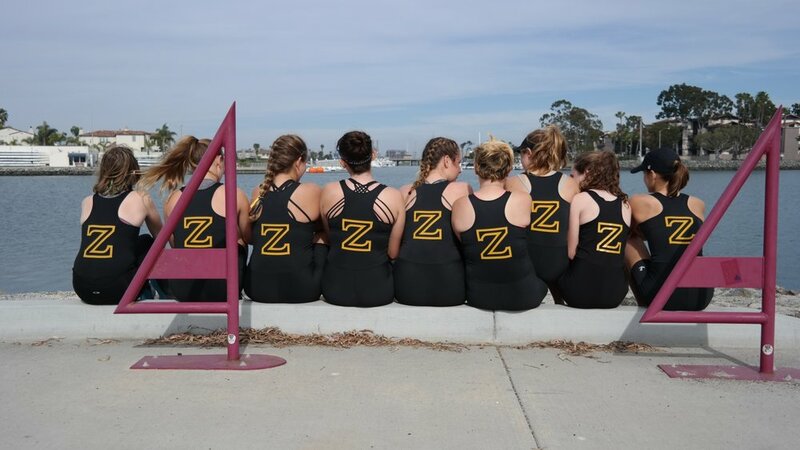 ZLAC’s juniors carry on a tradition of women’s rowing that goes back for over 125 years. The girls come from all over San Diego County and attend a variety of both public and private middle and high schools. 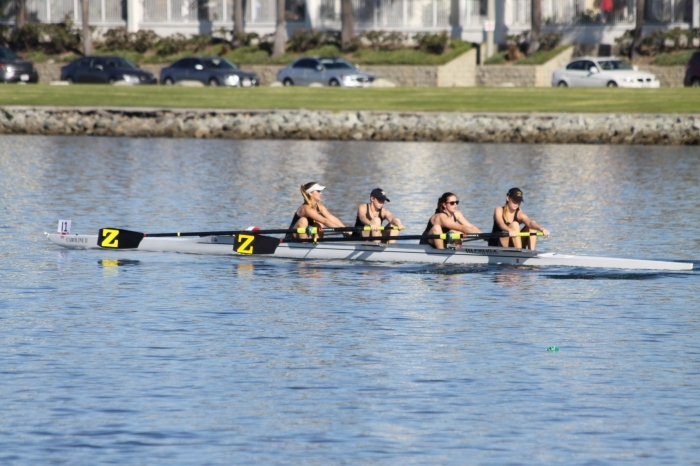 The girls share a passion for rowing, enjoy the camaraderie of the sport, and love being able to train on the beautiful waters of Mission Bay. 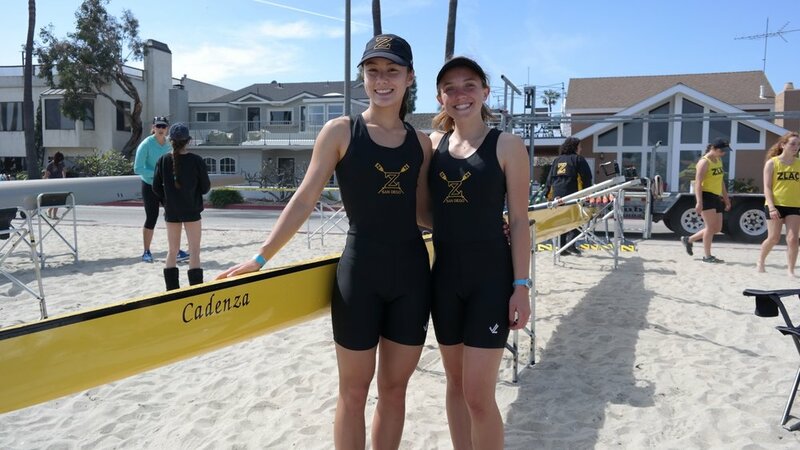 Many ZLAC alumni have gone on to row for collegiate programs including UCLA, UCSD, Cornell, Gonzaga, Berkeley, and many more! Our coaches endeavor to train every rower to reach her full potential, regardless of her initial level of skill and/or fitness. Rowing builds strength and fitness which in turn leads to a more positive rowing experience for all. All rowers are encouraged (but not required) to participate at the competitive level. Questions? Email athletics@zlac.org for answers and assistance! 8th-12th Graders: Register for the 2019 Fall rowing season! Running August-December 2019, new rowers are encouraged to join. The Spring 2020 season will run from January to May. Be sure to download the payment form HERE and bring it with you on your first day of practice. 6th & 7th Graders: Registration for Fall will open soon! ZLAC believes that every girl should be able to row. If you require financial assistance, grants are available! Please download and fill out the form HERE. Directions on how to submit are included. Don't forget to buy your ZLAC gear so you can row (and cheer) in style! The Middle School (6th-7th grade) program will be back for the Fall! Check back soon to see upcoming dates and details. The team enjoys top-of-the-line facilities, our main boathouse was completely rebuilt in 2000. The boathouse has two large boat bays holding over 30 boats. The workout room on the second floor of the boathouse (where the weight equipment and rowing machines are kept) has large windows and a wide balcony with expansive views of the bay. The ZLAC clubhouse is the focal point of the members’ social gatherings and events as well as the home of rowing artifacts and trophies from ZLAC’s long history. Monthly team dinners are held in the clubhouse, with an accompanying parent meeting to keep everyone up to date on training and events. Fees for the middle school program (6th-7th grade) are $300 for the season. Fees for the junior program (8th-12th grade) are $328 per month over the nine month season for novice (first year) rowers. Varsity rowers pay a reduced monthly fee ($295) but also pay annual club dues, for approximately the same annual financial commitment. Program fees include coaching fees and most regatta travel expenses. More detailed information is available on request. Varsity rowers also become full club members, allowing them a life-long membership to the oldest women's rowing club in the world. This membership comes with benefits such as unlimited use of the boathouse and equipment (great for collegiate rowers who want to continue training when home from college), reduced rental fees for the ZLAC clubhouse, and invitations to a variety of networking and social events throughout the year. 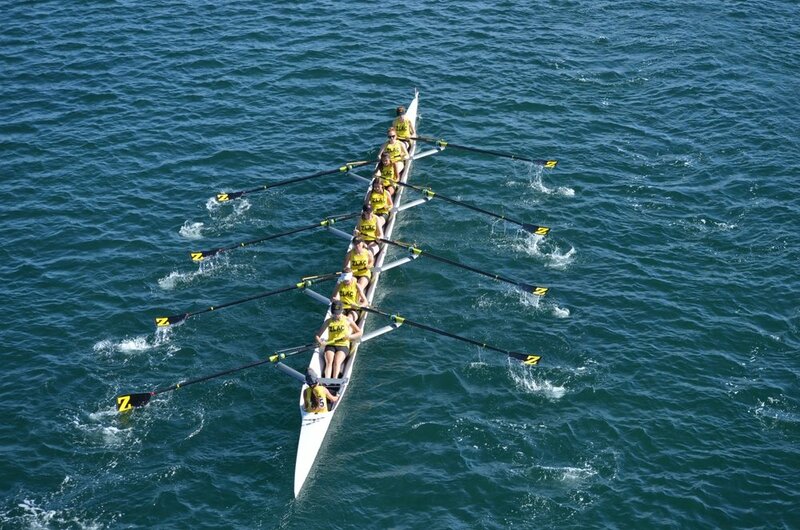 For more detailed information about rowing fees, please contact us. Margaux Deja received her undergraduate degree from Emory University in Atlanta, GA. She rowed all four years and sculled with a local competitive program during the summers in the off-season. Margaux moved to Philadelphia to continue to row and train competitively out of Penn A.C. While in Philadelphia she coached Novice, JV and Varsity level Junior women at The Shipley School for four years. Margaux then moved to Washington D.C. and became the Head Junior Coach for St. John’s College High School where she helped to grow the competitive program three-fold by the end of her two year tenure. In D.C. Margaux raced competitively with the Potomac Boat Club. In addition to her prowess on-the-water, her off-the-water skills include teaching Math, AP Biology, and Physics to middle and high school students, hiking tall mountains, running long distances, and rescuing injured wildlife. Coach Margaux brings a wealth of experience to ZLAC Rowing Club, having coached and competed in both sweep and sculling championships around the world. Marites "Tess" Exume began rowing as a Junior at ZLAC after falling in love with the sport during a summer Learn to Row in 2009. She rowed with ZLAC Juniors from 2009 to 2013 and was Team Captain her senior year. She continued to row in college for NCAA Division III University of Puget Sound from 2013 to 2017. Tess rowed Varsity all four years, practicing through torrential rain, wind, and even snow. Her favorite race venues include Head of the Charles in Boston and Head of the American in Sacramento. She graduated from the University of Puget Sound with a degree in Psychology. Coach Tess has a keen eye for technique in both sweep and scull rowing, loves bubble tea, and remains calm in almost every situation. Sandra started rowing at ZLAC Rowing Club in 2013 and rowed only half a year as a Novice before advancing to the Varsity team. She is currently finishing up her undergraduate degree Math Education in hopes of becoming a middle school math teacher. Sandra is an assistant coach with the ZLAC Juniors and during the summertime is a camp counselor in Minneapolis. In addition, Coach Sandra is an active volunteer with the San Diego Crew Classic, is almost always in/on/near water, and loves avocados. Amanda started rowing as a freshman at UC Santa Barbara and quickly fell in love with the sport. Her boats went on to medal at WIRAs, Crew Classic, and ACRAs, while tripling the number of rowers on the team during that time. She graduated with a degree in Psychology and started coaching at ZLAC as an assistant for the Junior Team. From there she moved to Madison, WI, where she coached for Camp Randall RC and ran their summer programs. Next, she took a position at Princeton National Rowing Association as their Novice Program Coordinator and Head Novice Girls Coach, where her rowers finished 1st in the 8+ and 4+ at Mid-Atlantic Regionals in 2018. Returning home to San Diego, she is ecstatic to help guide the programming at ZLAC! When not on the water, she enjoys yoga, sci-fi, and trivia with friends. + I'm a male, can I row at ZLAC? Sorry, we are a women's rowing club! However, we have one open water double that is available for men to use with a ZLAC member. + It’s raining, do you still go out and row? Yes — we row in the rain! Learn To Row classes meet as scheduled, rain or shine. If severe lightning, fog, wind, or storms are present, rowers will not be permitted on the water. Instead the class or practice is moved into the boathouse where we can get a workout on the ergs or using weights. + I’m coming to row at ZLAC, what should I wear? We recommend you dress in layers. San Diego can be cold in the early morning or after the sun sets. Dress appropriately for the weather, including a windbreaker if necessary. It's easiest if you are able to shed layers quickly as you begin to warm up. Your rowing clothes will likely get dirty and wet. Your outfit should be comfortable and snug. It should allow you to move freely but should not be baggy. Be sure to bring socks with you to wear once the boats are launched. ZLAC has a small parking lot that is for rowers and club members only. If your car is left in the lot past practice times and is not recognized by the resident manager (or there are no ZLAC stickers present on your car), you may be towed. When the lot fills up, there is always free street parking within the surrounding blocks. Please do not park in the lot if there is a black and yellow checkered flag at the entrance to the lot (this means there is an event at the clubhouse). + Can I rent your clubhouse for my wedding/party/memorial/event? Yes! ZLAC is located on Sail Bay on the north shore of Mission Bay in beautiful San Diego. Our clubhouse offers a unique setting for your next event. The clubhouse, built in 1932, is a traditional Craftsman style designed by Lilian Rice with a unique redwood interior, historic rowing decor, and a scenic view of Mission Bay. More info here.